Kate Tight'n Gel Review: Is This Product Really Trustworthy? The Kate Somerville Tight’N Cryogenic Gel uses the most advanced firming and skin tightening ingredients in instantly tightening the appearance of the skin. 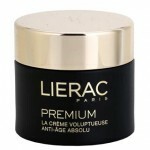 It also promises to visibly improve the firmness and elasticity of the skin, both instantly and in the long run. Another instant and long-term benefit that it can deliver is that it can visibly reduce the look of wrinkles and fine lines. The gel is a bit cold when applied to the skin. 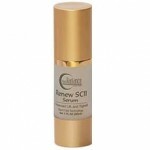 97% of the participants experienced highly significant improvement in the appearance of wrinkles and fine lines. 100% of the participants showed highly significant improvement in the firmness and elasticity of the skin. But is it really effective? You need to read this Kate Somerville Tightening Gel Review to find out! Kate Somerville believes that everyone should have a beautiful skin and she is dedicated to helping you get there. She has been caring for people’s skin in her iconic skincare clinic in Los Angeles for over 25 years. Before, she is focused on delivering cutting-edge treatments to all of her clients. Today, she has decided to keep all the skin benefits of her treatments in a bottle so you can also use it at your home. All of the skincare products that she has formulated are widely used in her clinics and trusted by some of the most popular celebrities and skin care authorities all over the world. The company claims that all of their products are skin changers that can deliver an amazing transformation to the dull, problematic and dry skin. For best results, use tight’n cryogenic tightening gel as the last step of your skin care regimen. Press the pump to dispense a small amount of the gel into your fingertips and slowly massage it into the skin. Avoid contact with the eyes and lips as much as possible. Let the skin completely absorb the product before putting on makeup. Use this in the morning and at night. Peony Extract: This boosts the skin’s elasticity and contours the fact to give it that youthful appearance. Hydrolyzed Hyaluronic Acid: This keeps the skin, plump, elastic and hydrated. 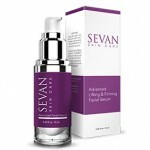 It also helps in minimizing the appearance of wrinkles and fine lines. Antarctic Mud Glycoprotein: This helps to protect the skin from possible irritation and hypersensitivity that may be brought about by the cold application. 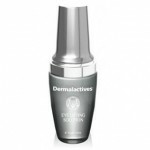 It also works in reducing the visibility of fine lines and wrinkles. Pullulan and Microalgae Extract: These substances work together to deliver a tightening effect on the skin. 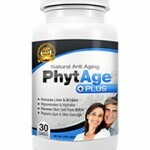 They have also been proven to improve the firmness of the skin over time. It is also known for its ability to hydrate and condition the skin, keeping it soft and firm. 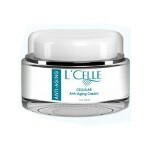 The claims of the tightening gel are backed up by clinical studies. It delivers long and short-term results. 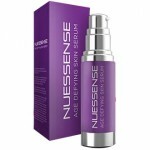 It is free of paraben and other harmful preservatives. The gel is extremely expensive. It uses phenoxyethanol, a cytotoxic, as its preservative. It has high amounts of denatured alcohol which can dry the skin. Many users did not like the scent of the product. Some Kate Somerville Tightening Gel Reviews state that the product did not work as expected. The tightening gel comes in a 3.75 oz (105 g) pump bottle that is sold for a price of USD 125. When you opt for the auto-replenishment option on the site, you can be able to save up to 15% of the total amount. It is available on the official company site and in other retailer sites. This is probably one of the most innovative skincare formulations in the market because of its cooling sensation and tightening benefits. 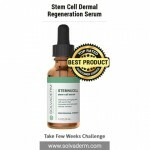 But based on the user reviews found online, the gel did not tighten the skin and diminish the look of wrinkles and fine lines as it claims to do. Moreover, they did not like the scent that it gives off. With that in mind, it is best if you will opt for a tightening product that has been proven effective through user reviews. Your satisfaction is important to the company. That is why they are offering a 30-day money back guarantee. You can return the items to them within 30 days after the date of purchase, and you will get a full refund. Just simply call their customer service representative to know how their return process works.